Fighting For Their Lives / "Lack Of Humility" / "The Great Burden" / "Framing Defense"
I inadvertently “spoiled” Making A Murderer for myself after just the first two episodes, trying to fact-check a name and learning that both Steven Avery and Brendan Dassey had been convicted and were still in jail. That was probably better for my overall mental health, as I would’ve kept up hope until the end of the series that one or both men would’ve had their convictions overturned. 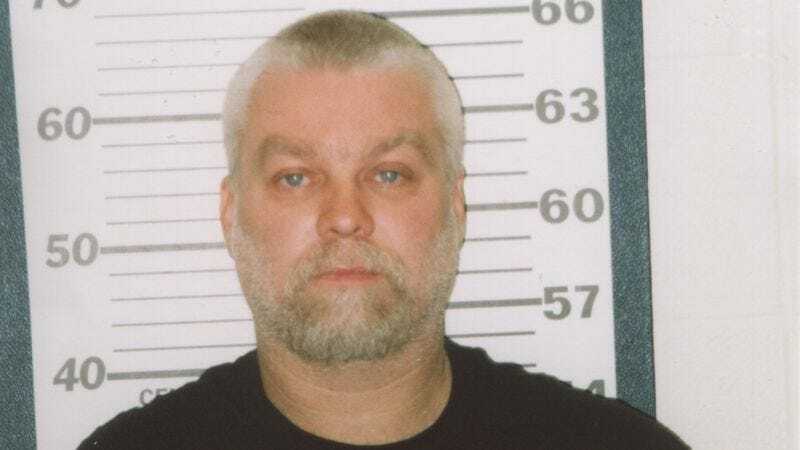 I can see why a jury might have convicted Steven Avery in spite of the lack of motive and even with the shady evidence. (Not saying I would have voted to convict based on what I saw—just that I understand where it comes from.) His blood is in her car, her body is on his property. People have been convicted for a lot less. Do I believe he should have been convicted? I don’t. There was enough bad evidence and unreasonable stuff going on that any evidence of Avery’s guilt should have been viewed with a very skeptical eye. (How did Colborn calling in Halbach’s license plate never come up again?) The Manitowoc cops should never have been allowed on the scene. Somebody stole Steven Avery’s blood. There were three burn sites. What seemed like the most simple explanation—that Avery did it—got more and more complicated, to the point where lots of doubt was very reasonable. And yet he was convicted, seemingly because there’s no way to accuse law enforcement of framing you without you actually being guilty. In a time when public distrust of the police has never seemed higher, it’s another rush of awfulness. “Are you willing to say that your Manitowoc County officers were murderers?” asks the oily, smug Ken Kratz. He might as well have told them that the only way to be patriotic Americans would be to return immediately with a guilty verdict. His other zinger: “Reasonable doubts are for innocent people.” Unbelievable. More on him later. It was a little heartbreaking to hear from the excused juror that the original jury poll in the room had seven jurors ready to declare Avery not guilty. (“Not guilty” versus “innocent” is always an important distinction.) But he felt like they were worn down by three jurors who were convinced of his guilt. And so Steven Avery ends up back where he started, in jail, professing his innocence, and holding out hope that one day he’ll get out. I have very little optimism for him, unless—and the likelihood of this seems very slim—there’s a new test of his blood in the RAV4 that proves it was taken from the tampered vial. It’s almost insane to even type that: This guy is in jail based mostly on blood evidence, while somebody with the means, motive, and opportunity to plant that blood exists. But he’s not going anywhere, especially not acting as his own lawyer. I’m with his trial lawyer, who grudgingly says that he sort of hopes Avery actually did it, because the alternative—that he’s in jail again for a crime he didn’t commit—is too tough to bear. Even worse: Brendan Dassey. I don’t know how a reasonable jury could look at his so-called confession, then listen to him talk, and think that something wasn’t fishy. Plus, the total lack of physical evidence—and in fact the lack of blood altogether—was so inconsistent with his story that it made no sense at all. Add to that the idea that his lawyer was beyond incompetent, and it seems almost insane that he wouldn’t be granted a new trial. I assume investigator Mike O’Kelly was crying on the stand because he knew he had done this kid so wrong, but it’s hard to tell: There’s so much hubris and righteousness on the side of law enforcement and the prosecution in this case that it’s hard to tell who’s feeling what. Which leads me to the only modicum of justice doled out throughout this entire case: Ken Kratz. When the judge said that Steven Avery was probably the most dangerous person to ever set foot in that courtroom, my immediate thought was, “No, that’s probably Ken Kratz.” As a person who’s supposed to be seeking the truth, how could he in good conscience pursue convictions for both Avery and Dassey, since their stories were so far apart? It boggles the mind. The fact that Kratz revealed himself via a sexting scandal to be an amoral, vile, unethical person shouldn’t feel like too big a surprise. When O’Kelly was reading his own email, passing judgment on the entire Avery family as “evil”—what we were seeing there was the real evil. It’s despicable, it’s unjust, and it’s unfixed by the end of Making A Murderer. Perhaps this documentary will take on the kind of life that Paradise Lost or to a lesser degree The Staircase did, and result in so much negative public attention that something will have to be done. That seems plausible for Brendan Dassey. But for the guy who had a bill named after him after being wrongfully convicted once—the Avery Bill, later renamed—I don’t have a lot of hope. The bad guys won this one, and it’s all the more disheartening because they’re supposed to be the good guys. Having done some extracurricular reading, I know that there are people out there convinced that Avery is guilty. There is supposedly evidence against him that was not shown in the documentary, specifically that he called Teresa Halbach several times on the day of the murder, and that he requested she be the one to come to his house. The presumption of innocence seems awesome in theory, but it seems to fail a lot in practice. It’s very difficult to start with a clean slate when you’ve been accused of something so horrific. We’re not dealing with characters here, as I wrote in the first TV Club entry. Nobody would write characters as blatantly corrupt, inept, and shameless as Ken Kratz and Len Kachinsky. 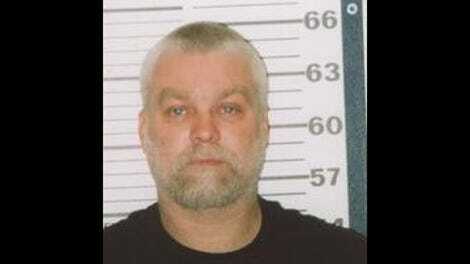 “The truth always comes out, sooner or later,” says Steven Avery at the end of these 10 hours. He’s more optimistic than me. I don’t think we’ll ever really know what happened to Teresa Halbach, and that’s a disservice not only to Steven Avery (assuming he didn’t do it) and Brendan Dassey, but to Halbach and her family as well.